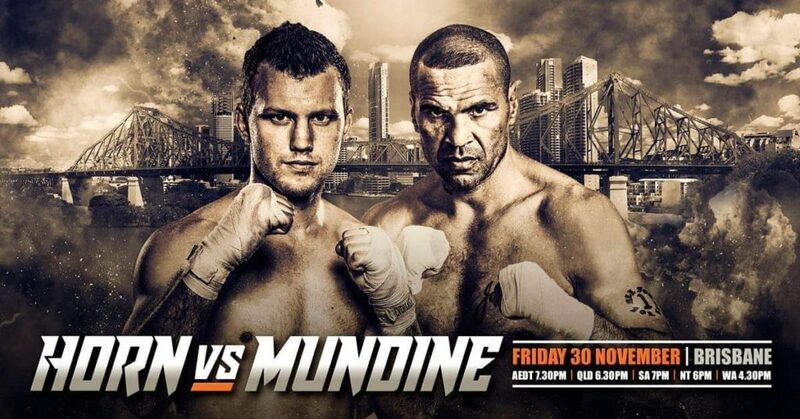 Former WBC Middleweight champion Jeff Horn and WBA Super-middleweight champion Anthony Mundine will clash in a boxing blockbuster River City Rumble at Brisbane’s Suncorp Stadium on Friday 30 November 6.30pm. Come and visit us and see it Live & Loud throughout the Carriers Arms Hotel Maryborough on our new SUPER BIG SCREENS. Come and join us in the main bar or enjoy our Bistro dining while enjoying the fight. We will also be airing the fight in our brand new gaming room and KENO lounge. Our Courtesy bus will be available all night. Call us on 41 226666 to Book.